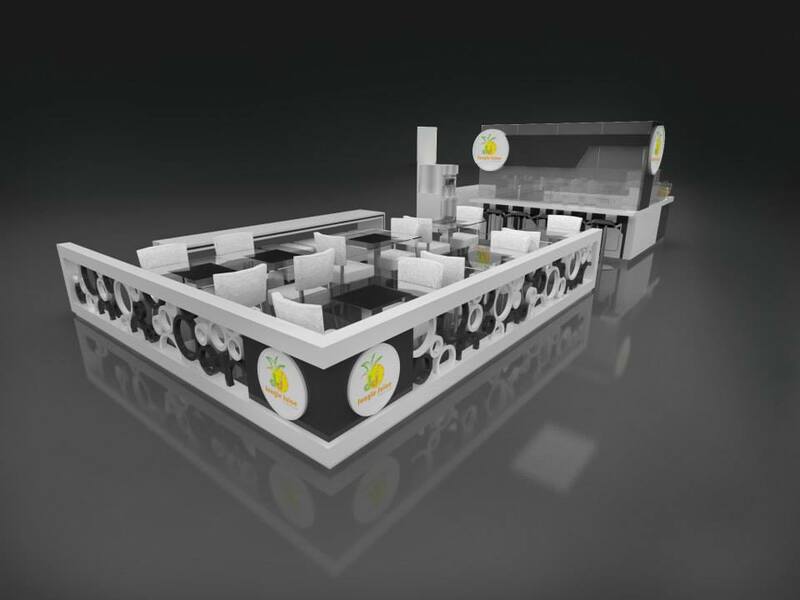 Sometimes, when your business grows big, you will need a larger kiosk. A kiosk is integrated with table and chairs for people to eat on site. Many shopping mall will offer such kinds of the lease. Even the rent price will be high. the profit in return is also marvelous. 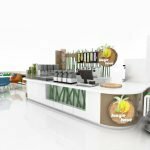 Here below is a nice juice bar restaurant kiosk design with bar counter and tables. 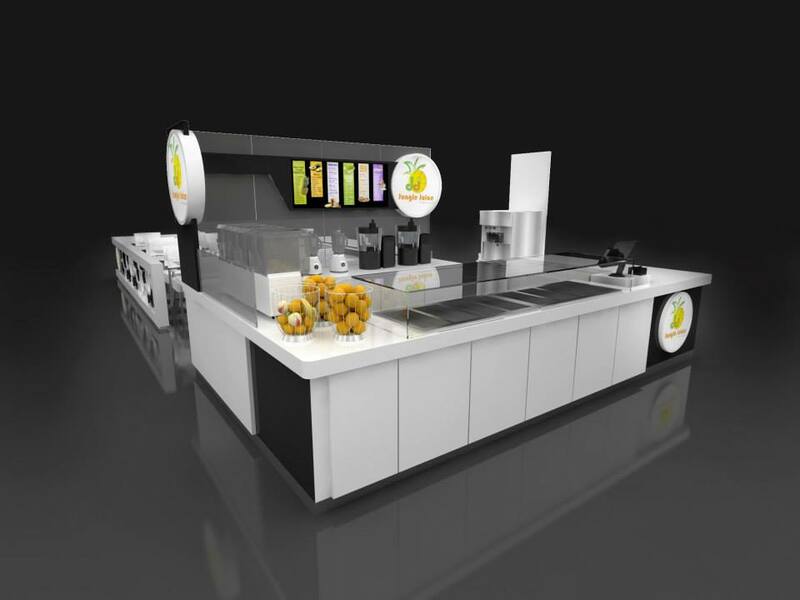 On one part the location we put a kiosk there where staff can prepare food and juice. Ont the right large empty space is placed with bar counters and tables chair sets. 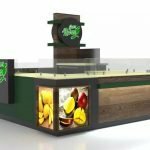 Unique Kiosk is a leading mall used juice bar manufacture. 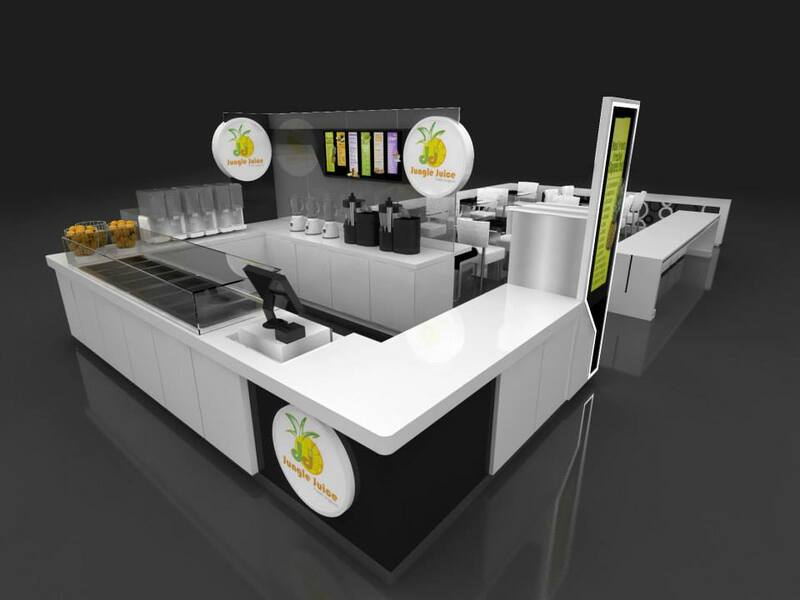 We provide a one-stop solution for all fast food display. 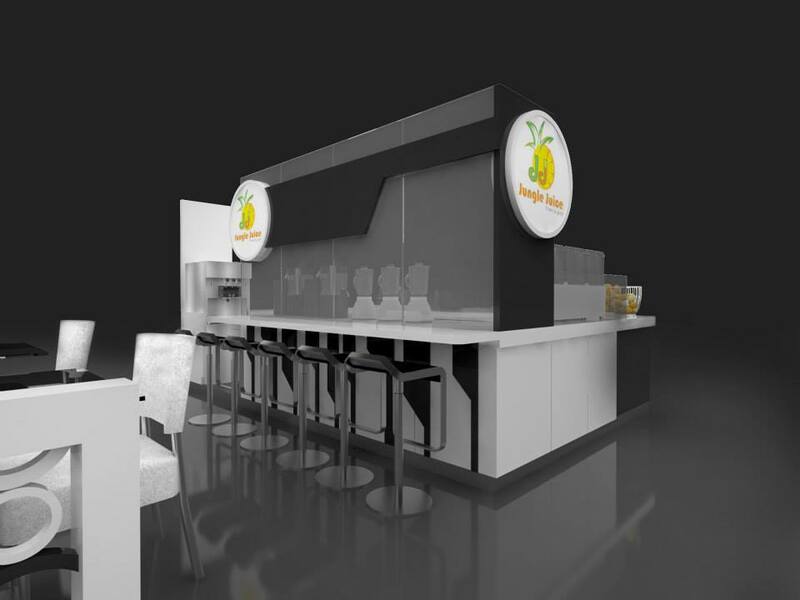 Contact us for a custom design and best price juice bar. preparing paint, plywood, wood veneer, Tempered glass, Stainless Steel, etc. 110v, 220, 240, it relies upon your nation standard. 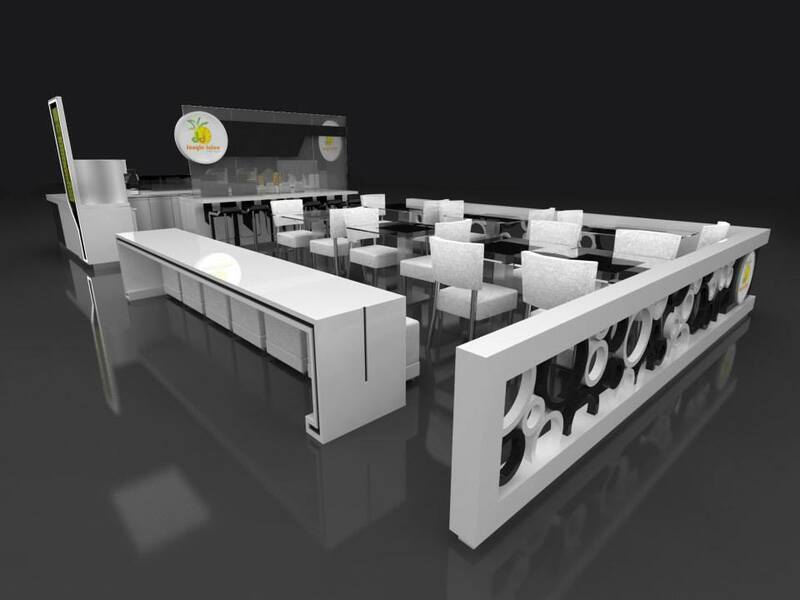 The majority of our booths and stands and other business furniture Could be custom.all of the items are no stock.so we can construct precise as your optimal structure and capacity necessity. The small test can be sent to the customer, after the opposite sides to impart. Sample charge can be discount as indicated by the client’s organization. We have a major example room so the client can visit it. Our processing plant is the administration of the top-notch Brands, so the nature of the items and the workmanship must be superb. The items from crude materials to the factory, production items are reviewed by QC. The products are flawless bundling before shipment. If there is any issue after gotten their products, if you don’t mind reach us inside 48 hours.we will manage it appropriately. Free kiosk design plan item. Confidentiality of client’s plan of the new items.